Debra Messing and Josh Radnor stepped out to support the cast of Accidentally Brave! The duo celebrated the show’s opening night on Monday evening (March 25) at the DR2 Theatre in New York City. They were also joined by the play’s star and writer Maddie Corman. The play follows Maddie‘s true story of perseverance and hope when the unthinkable tests her marriage, family and values. Accidentally Brave officially opens on March 25th and runs through July 11th. Josh Radnor made out with a lot of people on How I Met Your Mother but he’s not sure if it included Busy Philipps! The 44-year-old actor joked about Busy‘s guest appearance on the sitcom while stopping by Busy Tonight on Thursday (January 24). “Did we make out when I was on your show or was it just suggested? You made out with so many people on that show I bet!” Busy said during the episode. “It’s all a blur…” Josh responded. While the duo wasn’t sure if they locked lips on screen, Josh went on to describe some of his favorite kisses on the show. Busy Tonight airs Monday through Thursday at 11 PM on E! News. 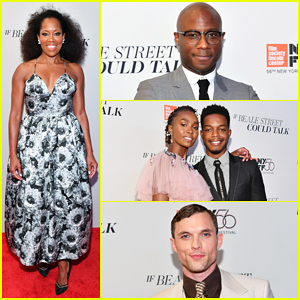 Regina King, Barry Jenkins & More Join 'If Beale Street Could Talk' Cast at NYC Premiere! Regina King strikes a pose on the red carpet while attending the world premiere of If Beale Street Could Talk held during the 2018 New York Film Festival at The Apollo Theater on Tuesday (October 09) in New York City. The 47-year-old Emmy-winning actress was joined at the event by the film’s director Barry Jenkins, as well as her co-stars KiKi Layne, Stephan James, Brian Tyree Henry, Colman Domingo, Teyonah Parris, Aunjanue Ellis, Emily Rios, Diego Luna, Finn Wittrock, Ed Skrein, Ebony Obsidian, Dominique Thorne and Marcia Jean Kurtz. Also in attendance to show their support was Lakeith Stanfield, Samira Wiley, Naturi Naughton, Josh Radnor, Alia Shawkat and Megan Boone. This is Barry‘s first film since the Oscar-winning Moonlight – Watch the trailer here! FYI: Regina is wearing a Michael Kors dress, Chopard jewelry and Nicholas Kirkwood shoes. Barry is wearing a Dior Men suit. Brian is wearing a Perry Ellis suit and Cole Haan shoes. Kiki is wearing a Valentino gown. 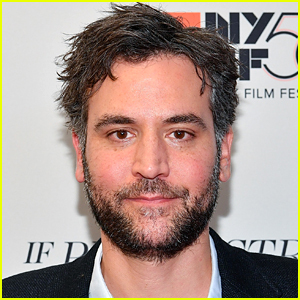 Josh Radnor to Appear on 'Grey's Anatomy' as Meredith's Blind Date! How I Met Your Mother‘s Josh Radnor is paying a visit to Grey’s Anatomy to take Meredith (played by Ellen Pompeo) on a blind date! 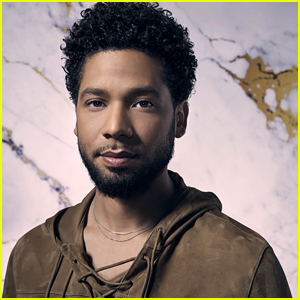 People first reported the news that the actor would be making an appearance on the show to take the main character on a blind date, however, it’s unclear how long he’ll stick around. Could he be Meredith’s new long term beau!? In addition to his work on How I Met Your Mother, Josh also starred on NBC’s Rise before it was cancelled. Grey’s Anatomy airs on Thursdays on ABC. Noel Wells & Josh Radnor Celebrate Release of 'Social Animals' - Watch Trailer! Noel Wells is all smiles as she poses alongside co-star Josh Radnor while attending the premiere of their latest film Social Animals held at The Landmark on Wednesday (May 30) in Los Angeles. The 31-year-old actress, and Josh, 43, were joined at the event by their cast mates Carly Chaikin, Aya Cash, Fortune Feimster, Brayden Scott and director Theresa Bennett, as well as Ted Danson and his wife Mary Steenburgen. Synopsis: Zoe Crandle’s (Noel) life didn’t exactly turn out the way she planned. She’s facing eviction, her business is going under and she is resigned to a life of one-night stands. Just when it seems her whole world is unraveling, she meets Paul (Josh), a fellow loveable loser, and the pair have an instant connection. There’s only one problem, Paul is married. With help from her best friend, Zoe devises a plan to save her business and salvage her love life. Social Animals hits select theaters, on demand and digital on Friday (June 1) – Watch trailer below! Rise has officially been canceled after just one season. NBC made the announcement on Friday (May 11). The one-hour drama focused on a working-class high school drama department and the students as they come alive under a passionate teacher and family man whose dedication to the program galvanizes the entire town. It starred Josh Radnor, Damon J. Gillespie, Sergio King, Auli’i Cravalho, Rarmian Newton, Rosie Perez, Marley Shelton, Ted Sutherland, Amy Forsyth, Casey W. Johnson, Taylor Richardson, Joe Tippett, and Shirley Rumierk. 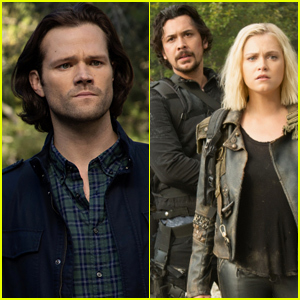 The season finale will premiere on May 15. Be sure to check out all the other network shows that were canceled this week as well.